How many of you are on Pinterest? I got addicted by a friend of mine before it got really popular. Well this recipe came from a post on Pinterest. It’s a no-cook refrigerator oatmeal, in a couple different flavors. The science behind it is that the oatmeal absorbs the liquid while it’s in the refrigerator, and it eliminates the overheating feeling of trying to eat oatmeal in the summer time. Now, I’m not going to go into too much detail about it just yet – I want to see how it works. 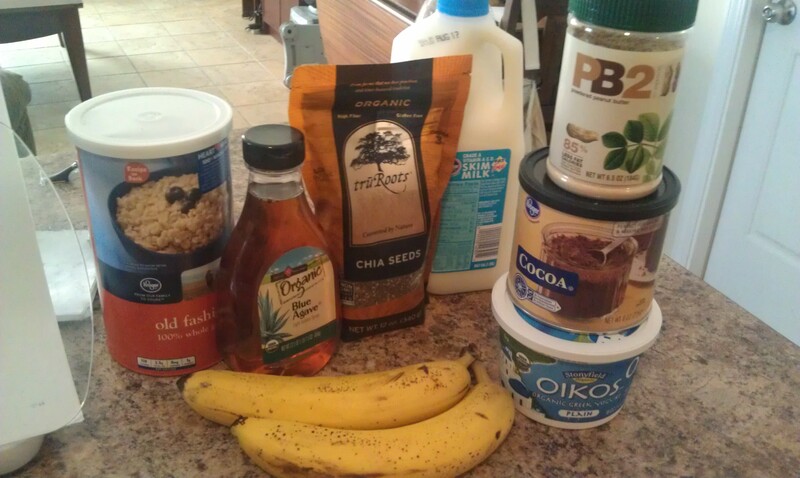 But it’s basically a mixture of oatmeal, greek yogurt, milk, and honey with the other ingredients that add the flavor. 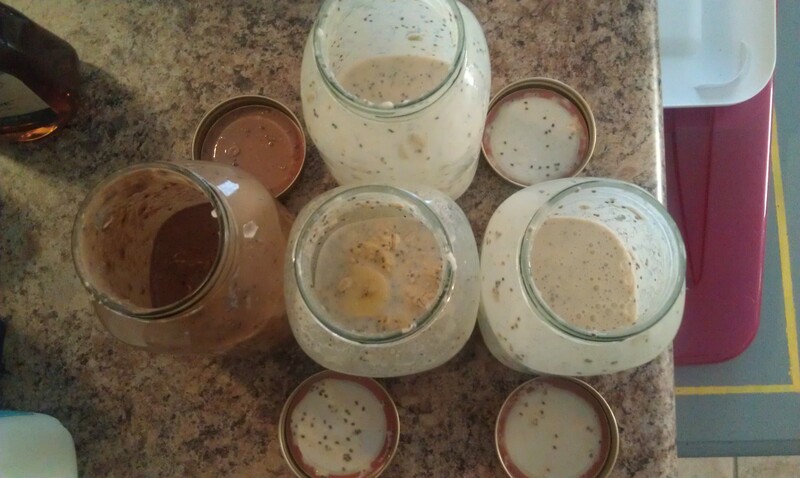 I made a peanut butter cocoa version, a mocha, a peanut butter banana and an apple cinnamon. We’ll see how at least one of them tastes in the morning. To continue on the path of yummy, dinner was a taco salad. You know how when you’re eating at Taco Bell, and everything falls out of the taco shell on to the paper? And then you use a spork and scoop it up and it usually tastes better than the taco itself did? Well, that’s what my salad tasted like. And it was amazing. It had a lot more calories than I wanted it to because avocado is expensive on the calories. But it was totally worth it and totally delicious. 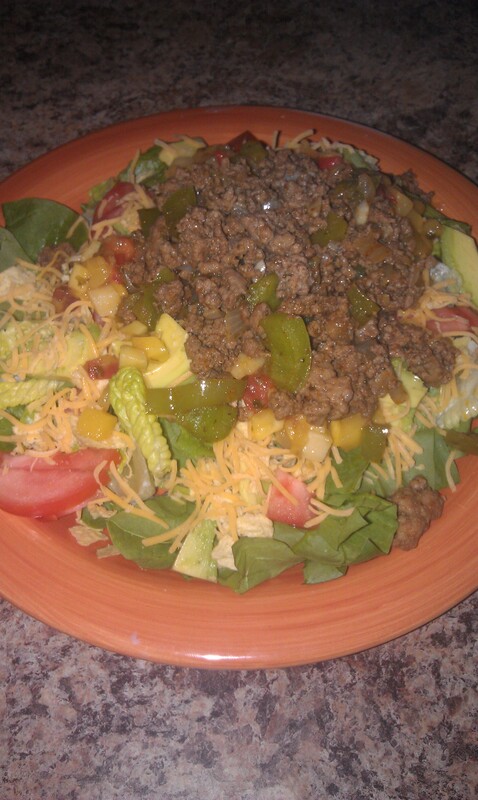 Avocado, tomato, lettuce and spinach, a mango salsa, ground beef with green bell peppers and onions, cheese and a home made taco seasoning. Try it for a quick dinner on a hot evening. On a side note, when did Lego come out with Polly Pocket -esque figurines and Barbie-like scenery? Oh, and dessert! I got dessert!! It’s a glorious day. 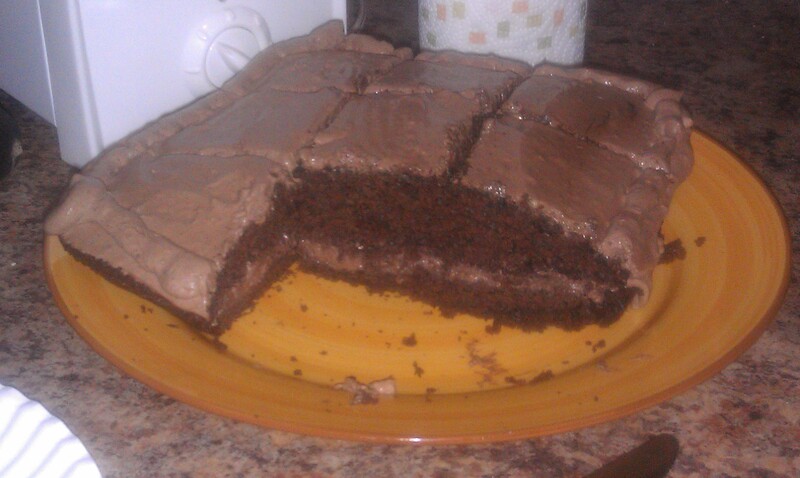 My friend and I made a chocolate cake yesterday with chocolate whipped topping frosting. It’s delicious, light and moist. And tastes even better after a day in the fridge. Oh and 160 calories per slice. Yay dessert!! This entry was tagged breakfast, cake, chocolate, diet, oatmeal, salad, taco. Bookmark the permalink.